A complete walkthrough for Besaid Island in Final Fantasy X (FFX), including enemies encountered, obtainable items, and boss strategy guides. Moon Crest Inside a small cove to the right after awaking near the shore of the island. Antidote (x2) Chest on the lower left of the beach (near the leftmost shack). Potion (x5) Given by Besaid Aurochs by talking to them. Hi-Potion (x2) Given by Besaid Aurochs by talking to them. Phoenix Down In the valley lake (near the right wall from the starting point). Hi-Potion In the valley lake (near the right wall from the starting point). Antidote In the valley lake (near the exit of the lake). Proceed to the island’s shore. 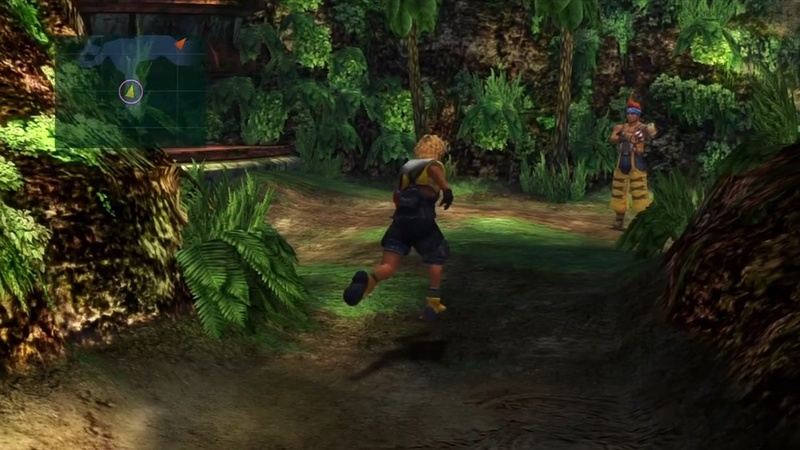 Follow Wakka to the end of the path by passing through Besaid Valley. Collect the items in the lake. 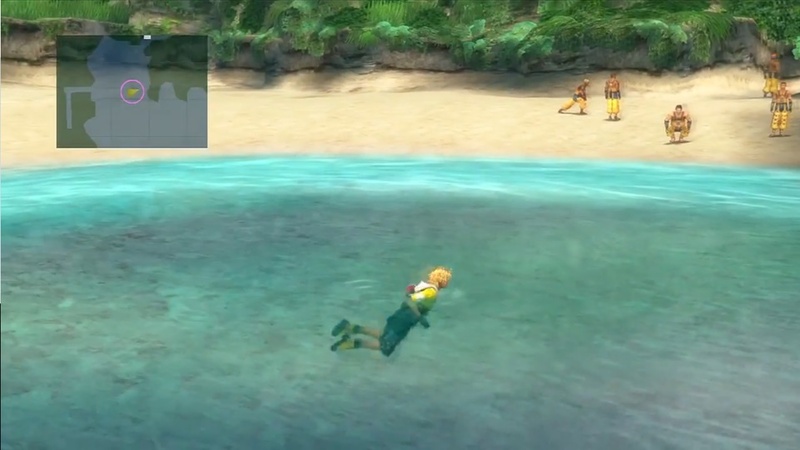 A number of useful items can be collected as early as when you awake in the water by the shore of Besaid Island. After you wake up, head right to the small cove to get the Moon Crest, a material used for crafting Yuna’s Celestial Weapon Nirvana. Next, swim to the far left to find a shack with the two framed nets to get two Antidotes. 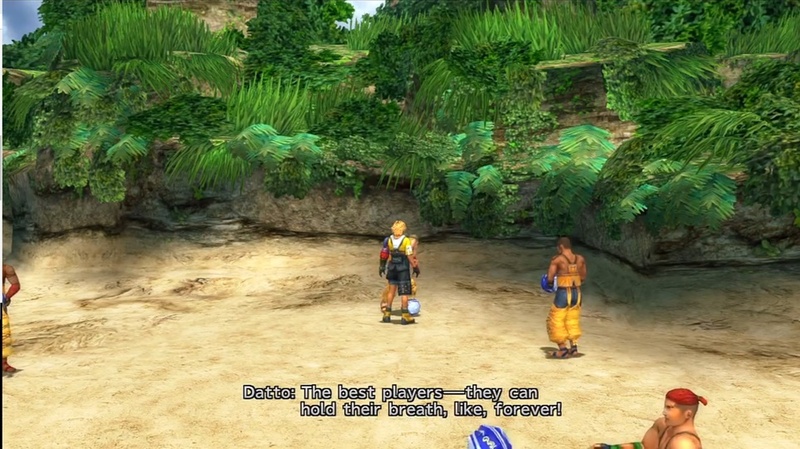 When Wakka runs off to the valley, talk to the Besaid Aurochs while they are practicing. You will get five Potions, two Hi-Potions, and 200 Gil if you keep talking to them. 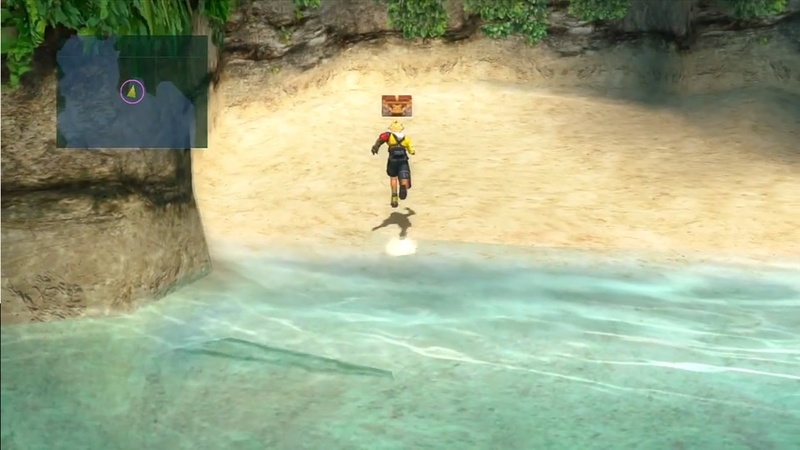 After Wakka pushes you into the water in Besaid Valley, swim a to the right to find a barely-visible chest containing a Phoenix Down. 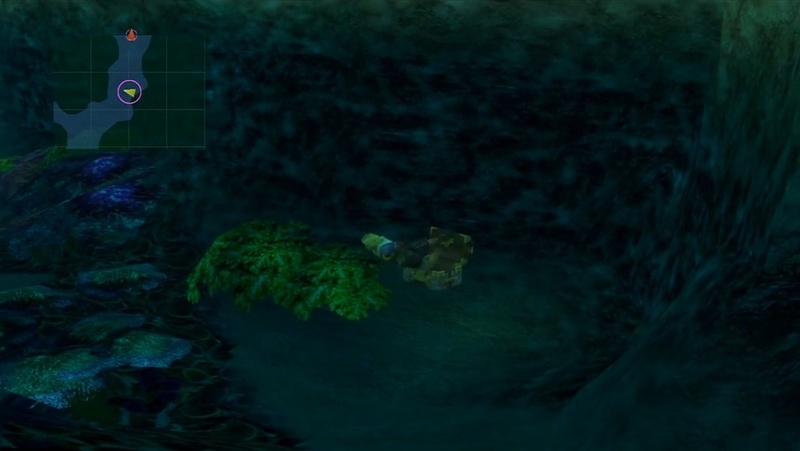 Then, dive to find another chest and get a Hi-Potion. These items are very easy to miss. To easily spot them, hug the wall on the right of the lake to find the two chests. They can both be found before the path turns upward. The locations of the two chests are marked on the image below. 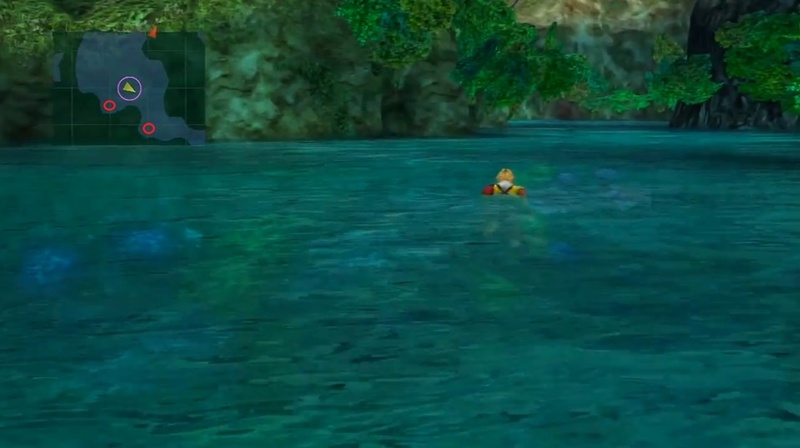 Swim further and you will come across another chest containing Antidote. Proceed further until you arrive at the village entrance. After you’ve collected all the items, head to the large temple at the top of the path.